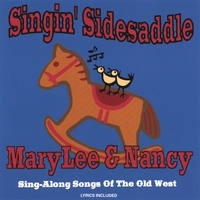 MaryLee and Nancy's third indie CD chock full of songs of the Old West! Vocal harmonies that blend to a T! Acoustic guitar, recorder, harmonica, fiddle and cello round out the original arrangements of these favorites. Recorded way out west on the Wobber Farm in California!